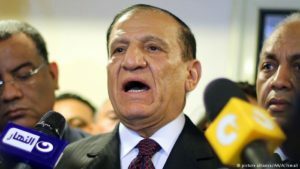 Former head of anti-corruption watchdog and campaign aid of detained General Sami Anan has revealed that the ex-Presidential hopeful is in possession of secret documents abroad that could cause prejudice to members of the regime should anything happen to the general who has been arrested for announcing his candidacy for March presidential elections. Hisham Genena, who headed the country’s audit service before being fired in 2016 by al-Sisi, told HuffPost Arabic in an interview Monday that the life of the ex-general is in danger following his arrest by the army last month. Hisham Genena added that the former military commander has a “well of secrets and documents and evidence” that would “implicate many people” in the deadly events that have unfolded in Egypt since 2011. Genena clearly admitted that he knows who the third party is and who is behind mysterious events and killings occured in Egypt. Hours after his revelations, Hisham Genena was arrested at his home in New Cairo by the police, according to his sister Ines. He was arrested at around noon on Tuesday she told The Telegraph “A lot of police and soldiers were waiting in front of the house since this morning. He prepared his bag yesterday as he was anticipating something like this,” his sister said. 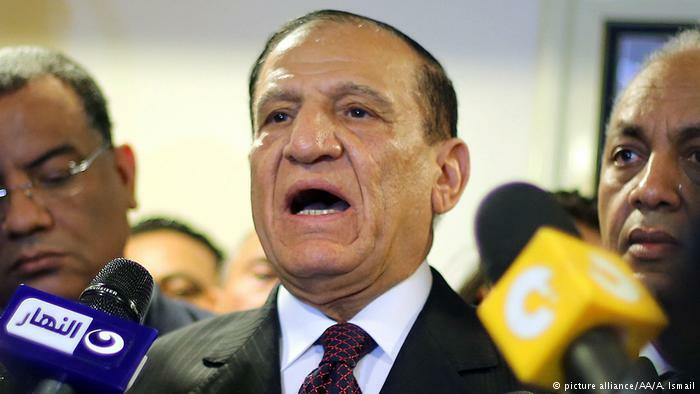 Sami Anan last month scrapped his plans to run for March presidential election. The ex-general has since been detained reportedly in a military camp. The army accused him of breaching military rules after announcing his candidacy without permission from the military. Anan was the second in command of the army during the short-lived military rule following the overthrow of autocratic leader Hosni Mubarak. He was retired by democratically elected president Mohamed Morsi in a move that was viewed as a way to loosen the military’s grip on the country. As a civilian, he then was appointed as a counselor to President Mohamed Morsi. The ex-general was considered the most serious challenger to AbdelFattah al-Sisi in next month presidential polls that will be won by al-Sisi after other prominent political figures were also pulled out from the race. Hisham Genena himself was victim of an assassination attempt last month after he was beaten by a group of men armed with knives. The army in a counteraction rejected Genena’s comments and vowed to take legal actions against him. “The armed forces will make use of all the tools guaranteed by the constitution and the law to protect national security,” army spokesperson Tamer Rifai said in a statement before the man was arrested.